How Far is MCB Blossom Rich? MCB Blossom Rich, by MCB Developers Private Limited, is located in Avadi, Chennai. 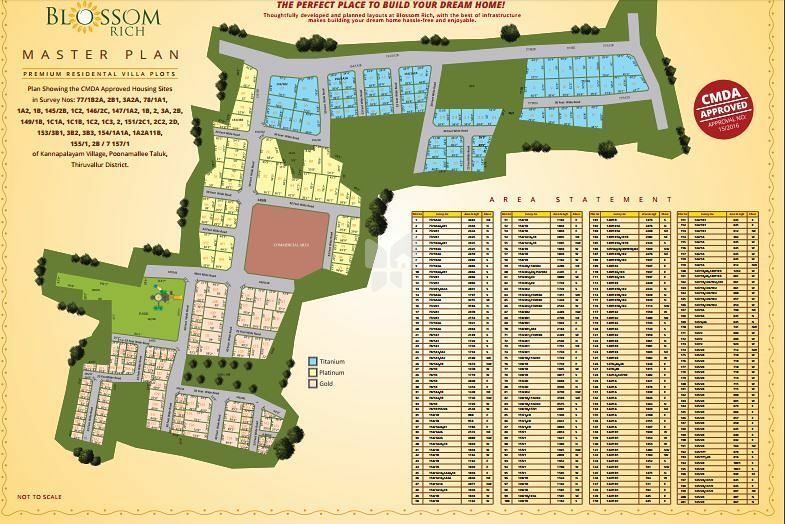 MCB Blossom Rich is a CMDA approved gated community which advertises premium residential villa plots for sale. Spreading its wings over 13 acres of land, MCB Blossom Rich proudly bears 210 units of plots. The residential villa plots for sale at MCB Blossom Rich, Avadi, has plot sizes varying between 511 sq. ft. and 2400 sq. ft. MCB Blossom Rich at Avadi is the finest and fastest developed area in terms of residential settlement having schools, colleges, good hospitals which are well connected transport facilities. This prime property is about 6 kms from Avadi Railway Station. Avadi is a prominent area in Chennai, and is connected to all major areas like Tambaram, Thiruvanmiyur, Anna Square, and Thiruvallur by bus. The Avadi Railway Station is also a part of the Chennai Suburban Railway Network. The area accommodates some large military establishments, like the IAF, Heavy Vehicles Factory, Combat Vehicles R&D Establishment. Avadi not only flaunts the best schools and hospitals in the city, it does so by not compromising on the calmness and beauty of its surroundings. Residing in such a grand area is an achieved aspiration.